Nothing beats a big bowl of fresh salad in the summer. But I believe salads should be enjoyed all year round. 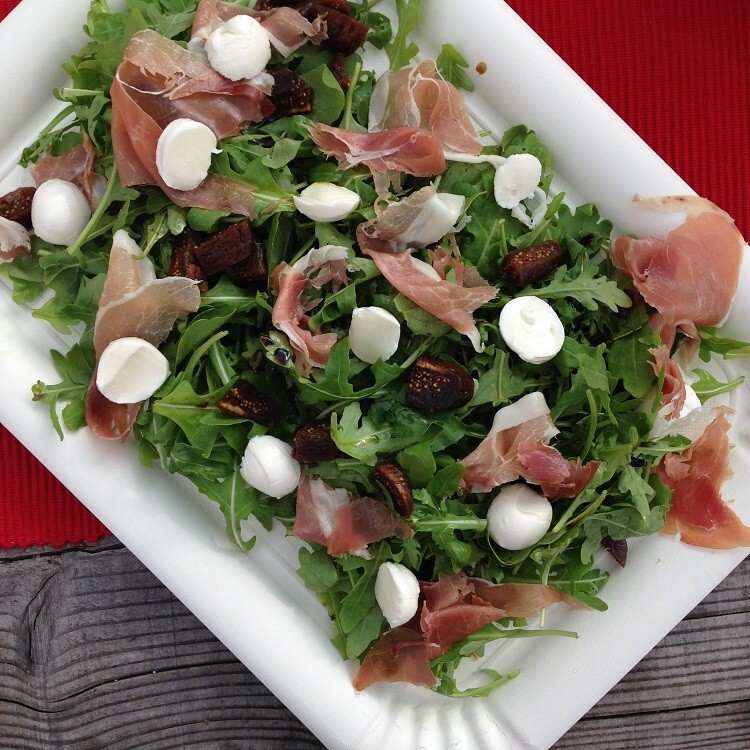 As a main dish or as a side, this arugula, prosciutto, mozzarella and dried figs salad is a perfect choice for any time of the year. The amazing colors and the combination of sweet and salty flavors will convince even the biggest “salad doubters” out there. When it’s figs season, fresh figs will work amazing in this salad as well. But in these autumn days, dried figs are the perfect choice. I personally even like this verison better since dried figs are slightly sweeter than fresh figs and make for a great contrast to the saltiness of prosciutto and arugula. 1. Wash and dry the arugula and spread it on a plate. 2. Season with olive oil and balsamic vinegar to taste. 3. Dice the dried figs and baby mozzarella and spread it over the arugula. 4. With your hands, tear the prosciutto slices into smaller pieces and add to the salad. 5. Serve immediately. Bon Appétit!